Overcast mornings in San Francisco are one of my favorite times to do research. When the city gets socked in with fog, it stills my mind and affords concentration. This particular morning has been enrichened by the recently-launched critical repository of UC Riverside scholar Toby Miller, whose work first came to my attention through his beautifully crafted provocation introducing Diasporas of Australian Cinema (Intellect Books,2009:9). 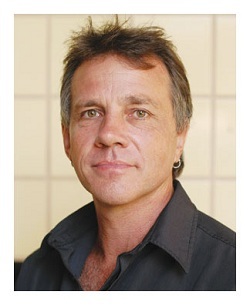 As an interdisciplinarian social scientist who has edited and written more than 30 books, and a frequent contributor to more than 100 journals, Miller has tackled such diverse issues as the media, sport, labor, gender, race, citizenship, politics, and cultural policy, as well as the success of Hollywood overseas and the adverse effects of electronic waste. A cursory glance at his new website reveals samplings of his writing sure to entertain, educate and enlighten me on many foggy San Franciscan mornings to come. His is a rich and welcome addition to such critical repositories as Jonathan Rosenbaum's and the long-anticipated launch of Adrian Martin's. This entry is being retained as a placeholder, primarily to preserve the following comments. The body of its text has been transferred to here. Library of Congress film curator Mike Mashon (affiliated with the Motion Picture, Broadcasting and Recorded Sound Division, aka MBRS) has become a familiar and welcome face at the San Francisco Silent Film Festival (SFSFF). Mashon explained that he has been working with the Norman Studios to strike a new print of The Flying Ace (1926) to bring to his "favorite film festival". 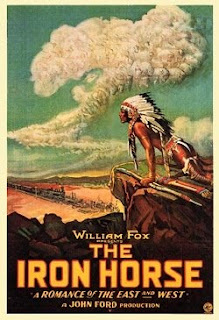 The Library of Congress had been given a nitrate print by Capt. Richard Norman, Jr., the son of the founder of the studio. In 1980, they did a preservation of The Flying Ace and showed it occasionally during the '80s. He felt the SFSFF would be the perfect opportunity to strike a new print of the film and, since he had the power to do so, he picked up the phone and got the ball rolling only to discover that it was the "project from Hell", though well worth it. 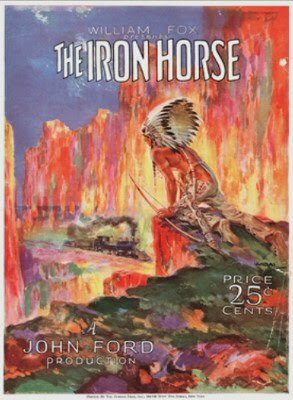 The nitrate print in the Library of Congress dates back to the film's original release in 1926 by the Norman Studios, which was not a wealthy studio and thus the print was poorly exposed with lots of changes within the film between scenes. The exposure was all over the place. The folks in Mashon's lab—particularly their chief timer Ken Kuban—went back and retimed the film. There were more than 2000 timing changes! Mashon hopes the folks in his lab who deserve all the credit will still be speaking to him after their brilliant efforts striking a new print of The Flying Ace, which holds the record for the fastest turnaround in delivery to the SFSFF. The print was finished only a few days before its scheduled screening at the festival and for the last couple of days they have been blowing the chemicals dry up in the booth. Mashon asserted they will never try to beat this record in the future, even though the results are spectacular. Mashon introduced Ann Burt and Carolyn Williams of the Norman Studios. Burt advised that in 1908 Jacksonville, Florida was invaded by fledgling filmmakers from New York. Along with a year-long temperate climate, Jacksonville offered a varied shooting locale, with the beautiful St. Johns River, coastal beaches, a modern cityscape (since they had just rebuilt from their great fire in 1901), and nearby farms which had been former plantations. 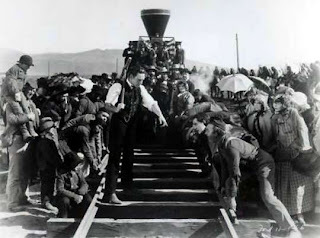 Jacksonville was a perfect location for shooting Civil War films, jungle and tropical isle films, westerns and more. Several motion picture companies took advantage of these winning attributes, such that by 1916, Jacksonville telephone directories listed more than 30 motion picture companies. Jacksonville became known as the "Winter Film Capital of the World." But this was not to last. According to some, the industry had a scandalous nature and the antics of film crews (such as pulling fire alarms to draw crowds or inciting riots to film mob scenes) turned the burgeoning movie industry into a political issue. In the hotly contested mayoral race of 1917, the film opposition candidate emerged the victor. Jacksonville's welcome mat was pulled in and the fledgling film industry shifted to where they were welcome, which was Hollywood, California. The rest, as they say, is history. "And I can tell you," Burt quipped, "we're real sorry about that. We are spending a lot of money in trying to get them to come back." Not everyone made the exodus to California, Williams continued. 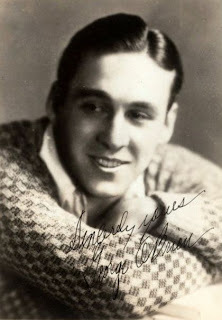 The Norman Brothers appeared in Jacksonville just as the movie industry was decamping "to that other town, which we won't mention." They made history for the kinds of films they made. 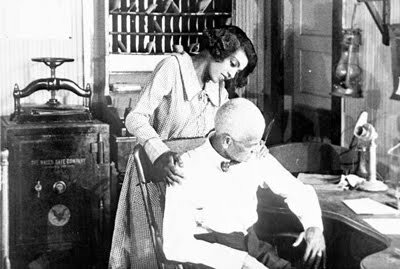 Though Oscar Micheaux's "race films" have achieved historical recognition, less well known were the efforts of white filmmaker Richard E. Norman, even though the Norman Studios were "at the top of the heap in terms of making the kind of films that would counteract the very negative impact on African Americans." Williams mentioned that the Norman Studios helped introduce the practice of "colorism"—prevalent even today in such films as Precious—where light-skinned Blacks are advantaged over dark-skinned Blacks. 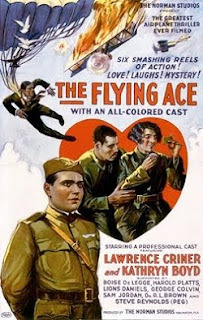 A little of this can be seen in The Flying Ace and many of the race films supported colorism. Lighter complected Blacks were cast as more positive characters whereas darker complected Blacks were usually comic relief or, worse, villains. Of particular significance to Williams is the statement The Flying Ace makes regarding gender. 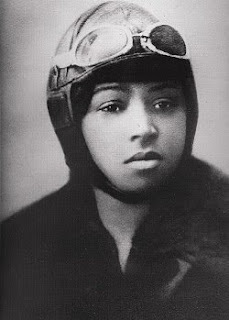 The Flying Ace can be characterized as the typical damsel-in-distress film; however, the lead actress Kathryn Boyd was billed as "a female daredevil"; a reference to Bessie Coleman who basically inspired the film. 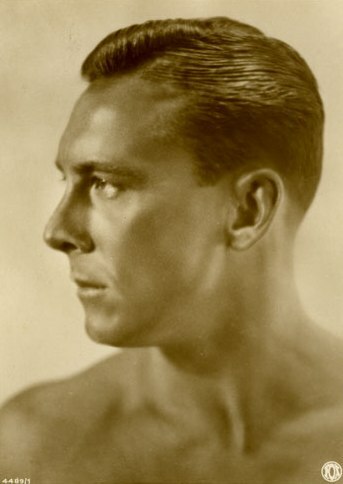 As briefly mentioned in Megan Pugh's essay for the souvenir program, Richard Norman contacted Coleman hoping to include more daredevilry in the film. The Flying Ace, however, ended up not including any plane stunts. The Norman Brothers, particularly Richard Norman, made a tremendous impact. His films were not just efforts to make money in terms of their relevance but made important contributions to African American representation in early film that reflected realities bypassed by the mainstream media. The structures that housed the Norman Studios production company still exist in Jacksonville, largely due to the key efforts of Ann Burt who has spearheaded efforts to convert them into a museum that not only tells the story of the Norman Studios but of filmmaking in Jacksonville as a whole. To the charmingly avuncular Frank Buxton fell the honor of emceeing the Founder's Presentation centerpiece screening of Georg Wilhelm Pabst's Diary Of A Lost Girl (1929), selected by San Francisco Silent Film Festival (SFSFF) founders Melissa Chittick and Stephen Salmons. "We are all here for several reasons," Buxton explained, "certainly for our love for silent films and the great music that accompanies them and the unique opportunity to see these films as they were meant to be seen—on a giant screen with appropriate music, wonderful prints, and to share the experience with 2,000 like-minded souls. But we're here also because of the vision of the two people I would like to introduce. "In 1994, they had the dream to present silent films properly: 35mm prints, correct speed, correct aspect ratio, and with live music. They hooked up with what was then called the Lesbian and Gay Film Festival here at the Castro—they're still going strong!—and presented the 1918 Ernst Lubitsch film I Don't Want To Be A Man (Ich möchte kein Mann sein). [The audience laughs.] Appropriate. It was sort of the Victor/Victoria of its age. With Dennis James on the Mighty Wurlitzer organ. What a way to begin! It was a great success. 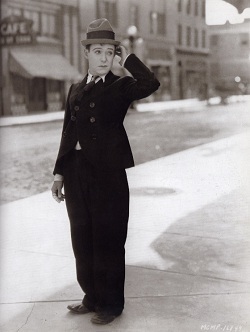 "The next two years were taken up with all the necessary things that it takes to build an organization like this—fundraising, networking, beating the drums—until finally in 1996 they presented the first San Francisco Silent Film Festival, a one-day event (one day!) 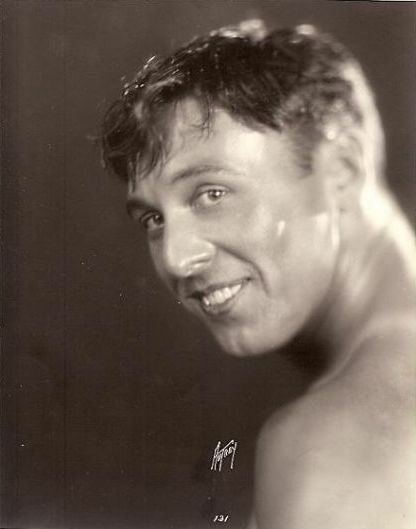 with three films: Gretchen the Greenhorn (1916), Lucky Star (1929) and the fabulous Ben-Hur (1925). Stephen told me yesterday, 'Gee, I'd like to see those again.' We can't go back. We only can go forward, Stephen! "It was their foresight, their passion, their energy and their ability that established this wonderful event. They not only got it going, but kept it going during its first struggling years. They ultimately turned over the reins to the incredible people who run it today; but, by then, the festival became internationally recognized for its presentations, its scholarship and its mandate to help and honor those who are finding and preserving the films of the silent era. You see the results here every July. "So the real reason we all are here today is because of two people. You wouldn't be here, I wouldn't be here, we wouldn't be here without them. I'm honored and proud to present to you the founders of the San Francisco Silent Film Festival and we're going to give them an award of recognition: Melissa Chittick and Stephen Salmons." 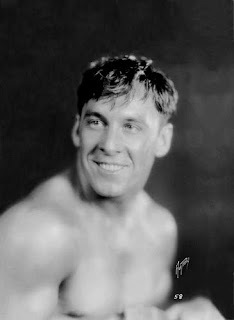 The audience erupted into a thunderous standing ovation as Chittick and Salmons took to the Castro stage, where Chittick claimed the podium while Salmons—true to his comic training—mugged in the background. "Thank you so much," Chittick beamed. "One of the questions I get asked a lot—apart from why we don't fix the Castro Theatre bathrooms—is why did we start a film festival? When Steve and I started we had no money, no contacts in the film world or even in the Bay Area community. I had a film degree from UC Santa Barbara and Stephen had been making 8mm silent films since he was a kid. When I moved to San Francisco in 1990, I knew that I wanted to do something with my film degree. I applied for some jobs here and there and found it was pretty hard to break into the field. So I ended up starting graduate school at SF State thinking that I might eventually teach. "You have to be an organized person to run a non-profit so I set about gathering a board. About the time I was working on Union Street as a bank teller and I met a guy named Stephen Salmons who was a framer. He would come into the bank to make deposits for the store. He was quiet and kind of shy but I knew he kind of liked me. [Stephen nods his head affirmatively.] We talked about film a lot so eventually I asked him if he would be a board member? "Right away we got into one of our first fights. I received a board acceptance letter from Steve written in crayon. I had forgotten that Steve used to be a stand-up comedian. I told him that he had to understand that I was really serious about making this a solid organization. So Steve and I got together and we started working. Using a Nolo Press book, we read that it was necessary to set up a nonprofit to earn nonprofit status. We were still working full-time so we would work during the day and he would come over to my one-bedroom apartment and work until about 11:00 or so at night. We had to learn how to do everything. We did market research. We did a business plan. We made budgets and cash flow, even though we didn't have any money. And we started gathering an advisory board. "I remember how naïvely brazen we were. I contacted people in the film community who ran other film festivals to say that we were a new festival in town, that we hadn't done anything yet, but we wanted to introduce ourselves. Most people in the film community were very nice, but some not so. There was one local bigshot who told us point blank that our idea would never work and that we should get out. "Eventually we met with some great results with Steven Gong from the Pacific Film Archive—now with the Center for Asian American Media—and they were encouraging even if they might not believe that anything would happen. We started having volunteers and they would climb the four flights of stairs to my one-bedroom apartment and worked out of my very small kitchen, because that's where the database was. They dubbed it the data-kitchen because that's where the database was. For mailings, we would have volunteers on the bed stuffing envelopes. "Lots of people wanted us to hurry up and put on an event. They said, 'Why don't you book it at the Roxie? Why don't you just show 16mm films? Ditch the musicians.' But we had the dream to show these films in the highest quality way so that people would take them seriously and not think they were scratched, jerky motion old-fashioned things. We didn't want to start our festival at the Castro Theater because it was so expensive for us; but, we needed to do it right. The Castro Theater was—and still is—the only place in the Bay Area with the right equipment to show silent films. So we had to learn how to fundraise in order to afford it. "Steve and I have talked since that it's actually been good that we didn't have the money to start the festival on our own because that caused us to reach out and involve the community. It was terrifying at first to ask people for donations. We never did something like that before and so when we did sometimes we'd need a beer or something like that. "After we had our first event at the Lesbian and Gay film festival, we finally had our first festival. I remember the press we actually got. It ranged from "like we need another film festival" to getting a 3/4 page article on the front page of the Datebook in the San Francisco Chronicle. Steve and I were freaking out about that. Here we were, working out of my apartment, and we get this giant article in the San Francisco Chronicle! But that's something about admitting your dream in public. Once you tell people about it, you have to do it because it would be way too embarrassing not to. "Our first event seems kind of tiny now but it was amazing for us. It went really well; 1,800 people attended. I think the thing that was best for me is still something I'm not tired of (and that's not what you think it would be). Of course I love seeing a silent film projected correctly on the big screen and accompanied by excellent music; but, that's not it. The best part for me was seeing a theater packed full of people watching the silent film program that I produced. There were many times every year that I would sit in the front of the theater over here and watch just you the audience watching the film. "After that the festival really started to grow. We met an influential man named Richard Meyer who became a board member and helped introduce us to some really wonderful people who became board members, people like Jean Sheldon, Frank Buxton and David Smith who took the fundraising and prestige to another level. "After all that, you probably wonder why we left. We were taught one of the biggest successes a founder can have is to let the organization grow beyond them. Then you find out if it's important to other people or not. Obviously, this one is. Steve and I have always kind of compared it to having a child. I gave birth to it and then Steve came along and helped me raise it. We'd say, 'Oh, now it's in kindergarten, or high school' or whatever. But now our baby has graduated from college and has landed a really promising career job. "We are so thankful to the people who took it over and are running it today. ...They have taken what we've created and made it even better. Most importantly, they've kept the tenor of the event: taking silent film and musical accompaniment seriously and adding so much more. Literally more days, more programs, a better website, and now we have a great blog and we're on Twitter! As Steve and I have been sitting in the audience watching this festival, we've been saying, 'Oh, that's a program we would have produced.' ...We're just as proud of them as if we'd produced them ourselves. "But I want to tell everyone here that—if we can do this—you can do whatever you dream of too. At first people will think your idea is crazy and that you can't do it; but, if you keep working on it, more and more people will join you and then you'll start noticing success and more and more people will jump on and that's how you build your dream." Then—refuting the common cliche that there's never enough time to thank everyone—Stephen Salmons pulled out a list of names from his coat pocket. "There's a story," Salmons advised, "behind each and every name on this list regarding their contribution to the San Francisco Silent Film Festival and—if you ever have 200 or 300 hours to spare—I'd be happy to tell you all of them. Each and every one of them on this list deserves an ovation of their own; but, ladies and gentlemen, I respectfully ask that you hold your applause until the end. Are you ready?" Taking a deep breath he then proceeded to deliver a rapid-fire thank you to each and every person who has helped the festival over the years. It was a stunning recitation of gratitude that filled the cheering Castro auditorium with joy and delight. Melissa returned to the podium to conclude their remarks by thanking everyone who has helped the festival live up to the motto: "True art transcends time." The 30th anniversary edition of the San Francisco Jewish Film Festival (SFJFF) launches this Saturday and runs until August 9 throughout the Bay Area. It's an extensive and inspired line-up (my overview is here) and among the highlights you'll find three sidebars: Tough Guys: Images of Jewish Gangsters in Film, People of the Book (exploring Jewish and Israeli writers) and Voices of the Former Soviet Union. This last one is comprised of two documentaries and one narrative feature, all of which I've previewed on DVD screener and hereby recommend. Between 1986 and 1992, I made four trips to the USSR and befriended several young people who were finding their way through the societal upheaval known as glasnost and perestroika. Nearly two decades later, their generation is the subject of Robin Hessman's intimate and revealing film My Perestroika, which won accolades at Sundance and New Directors/New Films earlier this year. The film has only a tangential relationship with Judaism, so many thanks to the SFJFF for programming it. My Perestroika is the true story of five classmates from Moscow School #57 who experienced, as they tell it, happy childhoods of blissful conformity. "I can't say I wanted to be like everyone else—I simply was like everyone else," one remarks. They graduated as radical changes began taking place in the USSR, and discovered the world wasn't what they thought it was. Now adults in their early forties, we see the niche each has found in this uncharted society. Borya and Lyuba are married history teachers who live in the apartment where Borya grew up. They find it almost impossible to explain the Soviet way of life to their incredulous students. Borya's friends Ruslan and Andrei took completely divergent paths. The former is a subway busker and ex-guitarist for Moscow's popular punk band, NAIV, while the latter owns the Moscow franchise for upscale French shirt retailer, Café Coton. The fifth friend, Olga, is a struggling single mother who services commercial pool tables. What the five now share—besides a penchant for chain-smoking—is a cynicism for politics and wariness for Russia's swing towards hard line patriotism. In casual interviews, they reflect clearly on the events that shaped their lives—the end of the Cold War, the radical act of quitting Komsomol, the dissolution of the USSR, religion, the 1991 coup and the turmoil of the Yeltsin years. Curiously, the director of this film is American, albeit one who studied filmmaking in Russia. She produced the Russian version of Sesame Street during her 10 years living there, and My Perestroika benefits from her perspective as both outsider and insider. Eschewing narration or voiceover, Hessman poetically—almost giddily—interfolds her five stories with news footage, propaganda films and pop music, as well as home movies of the five classmates shot by Borya's Jewish father. As Mary Anderson Casavant writes in her review for Filmmaker Magazine, this is "a documentary so good at breaking the rules of historical docs that it makes you question why anyone would follow them." The sidebar's other documentary is directed by a second American who studied filmmaking in Russia. While Kevin McNeer's Stalin Thought of You is more traditional in form, it is nonetheless a fascinating portrait of one man's relationship with "history's most prolific mass murderer." The titular "you" Stalin thought of is Boris Efimov, a Ukrainian-born Jew who was the USSR's top political cartoonist for 70 years. The meat of this story, as well as the element which connects these two men, is Efimov's beloved brother Mikhail Koltsov, whom Stalin had murdered in 1939. Koltsov was well placed in Soviet hierarchy—a pallbearer for Lenin, editor-in-chief at Pravda, and a military advisor during the Spanish Civil War. 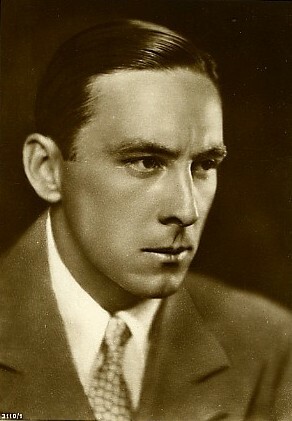 The character Karkov in Hemmingway's For Whom the Bell Tolls is entirely based upon him. Following Koltsov's death, Efimov was branded a "brother of an enemy of the people" and was unable to work. Most amazingly, he wasn't killed as well, or exiled at the very least. Stalin brought him back to lampoon Hitler in his notorious political cartoons, earning him a place on the Gestapo's black list. Efimov would go on to cover the Nuremberg Trials and win the Stalin Prize twice before the despot's death in 1953. It's an astonishing tale, recounted in the film by a clear-minded grand raconteur in the years leading up to his passing at age 108. 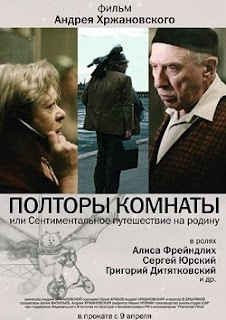 The film's only drawbacks are a few awkward English-language interjections by the filmmaker, and a scene where he tries to reproach Efimov for his "respect" of Stalin. Efimov rightly accuses him of being naïve. The third Russian film in the sidebar is of all things, directed by a Russian. Celebrated animator / documentarian Andrei Khrzhanovsky's A Room and a Half, or A Sentimental Journey Back Home is a fanciful meditation on the life and work of Russian-Jewish, Nobel Prize-winning poet Joseph Brodsky. Like Stalin Thought of You, this screened at last year's Mill Valley Film Festival and it's fortunate that the SFJFF has brought it back. Khrzhanovsky's narrative feature debut begins with an older, exiled Brodsky setting off on a return trip to his beloved St. Petersburg, which he hasn't seen since being "invited" to leave the USSR in 1972. In fact, this trip never happened in real life and Brodsky died in 1996 without ever seeing his family again. Brief scenes of this imagined journey are surrounded by extended, nostalgic flashbacks to Brodsky's bittersweet youth and young adulthood in Leningrad. I was particularly tickled by the film's portrayal of young, Western-emulating Russian bohemians who would transform medical x-rays into forbidden copies of jazz and rock 'n' roll records (a similar milieu is portrayed in the 2008 Russian film musical Hipsters). To aid his storytelling, the director employs animation (cat and bird lovers will be especially charmed), a bit of surrealism (musical instruments fly through a snowy Leningrad night) and at one point he even inserts his characters Zelig-like into archival footage. Throughout it all, excerpts from Brodsky's writings are given voice. The nostalgia-inducing art direction and cinematography, as well as the acting, are impeccable. I envy those who'll get to experience it all in glorious 35mm on the Castro's big screen. Matthew Kennedy hosted a brunch in honor of Photoplay Productions, this year's recipient of the Silent Film Festival Award, whereat he introduced me to Kevin Brownlow. 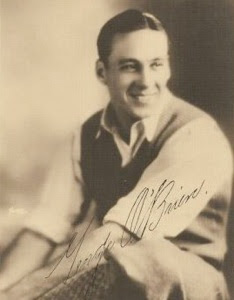 Brownlow was quick to disavow credit for the discovery of the Metropolis print found in Buenos Aires, Argentina, though he remained flattered by Fernando Peña's sentiment at the previous evening's screening that—if it were not for Kevin Brownlow—many archivists, Peña included, would not have become enamored with and dedicated to the preservation and restoration of silent films. Brownlow carries himself with Old World elegance, mannered and respectful, though a bit cautious when strangers rush up to fawn over him. This is, perhaps, the wisest policy. 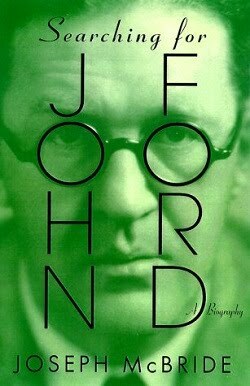 On stage, however, he is in full command of his persona: erudite, generous and compelling. He and his colleague Patrick Stanbury accepted the 2010 Silent Film Festival Award from SFSFF Executive Director Stacey Wisnia on behalf of Photoplay Productions, who provided SFSFF the 35mm print of Frank Capra's The Strong Man (1926), courtesy of Douris, Ltd. As Brownlow mentioned earlier to Wisnia, he has been studying silent film longer than the era of silent film lasted. 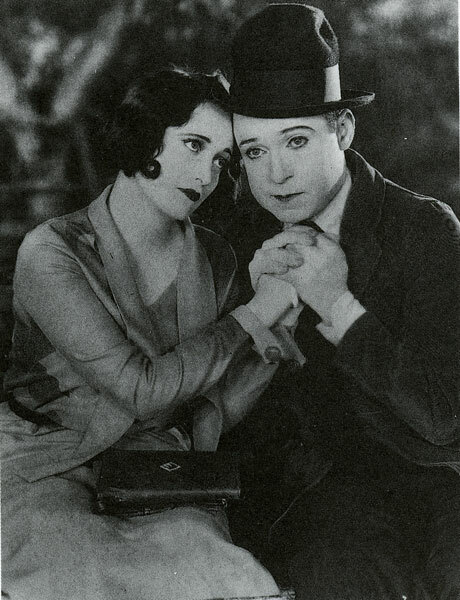 "When I first started involving myself in screening and presenting silent films 40+ years ago in the 1960s," Patrick Stanbury stated in his acceptance of the award, "I couldn't dream of the possibility of not only restoring films but bringing them back to a large audience in such a wonderful theater as this. I'm delighted to be here in San Francisco and very grateful for this award. Photoplay has always believed in putting back the best possible quality prints on the screen and the film you're going to see today—The Strong Man—is an exceptional print made off the original negative, better than which you should not be able to get. 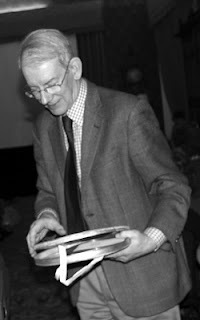 And here to tell you more about this...." Stanbury conceded the microphone to Kevin Brownlow. Expressing that it was marvelous to be at SFSFF at long last, Brownlow admitted he was most impressed "in every direction" with the souvenir program and its well-researched essays. He wondered what he could possibly add to Roberto Landazuri's contribution? 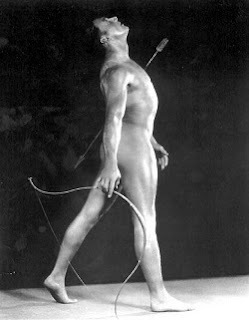 He was equally impressed with the enthusiasm of the audience and hoped to ship them all out to England when they do their silent film festival. Confirming as "very true" the SFSFF slogan—"True art transcends time"—, Brownlow added that it is equally true when they say that art is the concealment of effort. 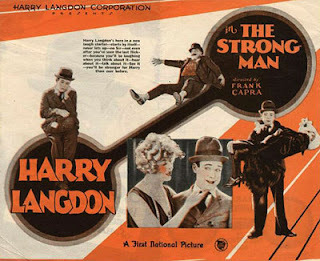 Nothing proves that more than The Strong Man, starring Harry Langdon. 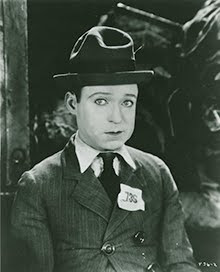 "Once upon a time," Brownlow reminded, "Harry Langdon was the fourth great comedian. Now he's fallen into undeserved obscurity. Certainly, he was a quieter comic than the others—you had to concentrate harder—but, he was highly rewarding. His was a simple child-like and immensely vulnerable character who stared at the world like a startled white mouse. "This masterpiece comedy somewhat disconcertingly starts in WWI, Harry being a Belgian soldier captured by a German who turns out to be Zandow the Great [Arthur Thalasso]. After the war this strong man is invited to America and takes Harry as his assistant. They search for Mary Brown, a girl who wrote to him in the trenches and a surprising number of women admit to being Mary Brown. Capra and co-writer Arthur Ripley and, incidentally, an uncredited Tay Garnett cleverly weave the social problems of the 1920s—prohibition, organized crime, prostitution—into the comedy. "Harry manages to meet Mary Brown and finds she's blind. Her father, a pastor, objects to Harry marrying her because of his work in the music hall. One night when he has to stand in for the strong man, he causes a riot. It's interesting that Charlie Chaplin should choose a blind girl for his own love interest in his own great comedy City Lights. Chaplin had one of those magpie minds that would pick up an idea, forget where it came from and it would come out as his, which I think is a legitimate artistic method of production. 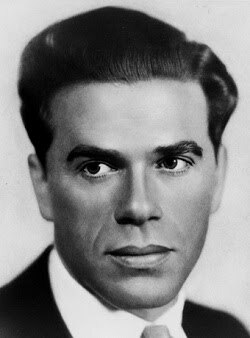 "Priscilla Bonner who played the blind girl remembered Frank Capra as 'very sure of himself'; but, you know, there are so many conflicting facts about this picture and no two historians ever seem to agree on them. 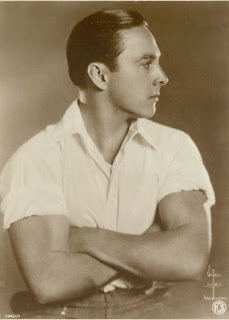 ...But Langdon was so reassured—and this comes from Photoplay, after who we named our company—that he went on a golfing holiday, leaving Capra and Ripley to work on the story for the next film Long Pants and that proved to be a miserable experience. 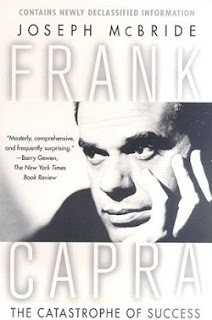 "Biographer Joseph McBride talked with Priscilla Bonner and she described the difficult situation that followed: Langdon and Ripley freezing Capra out in a situation that left a most unsatisfactory film for Langdon—that was Long Pants—and also for Capra. Langdon fired Capra with the next film. That was the end of what might have been an incredible run of comedies had Capra and Langdon stayed together. Getting rid of such a brilliant partner was the kind of dumb thing that Langdon might have done in one of his comedies. "Last year in Bologna we saw a series of exceptional films—silent and early sound—which demonstrates that Capra was among the brightest talents in a business already crammed with talent. ...Joseph McBride's book is called Frank Capra: The Catastrophe of Success (1992). Yes, he was full of self-confidence. Capra claims Langdon did not create his character, he did! He and Arthur Ripley. 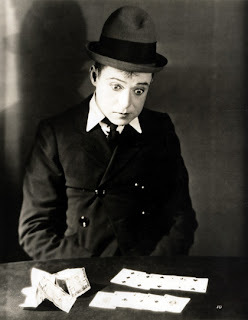 This has been contested by biographer Joyce Rheuban [Harry Langdon: The Comedian as Metteur-en-Scène, Rutherford, New Jersey, 1983] who says the character was well-established in vaudeville before Langdon went anywhere near pictures. What Ripley and Capra were able to do was to recognize what made Langdon unique and to let him be himself on film. "Whether you agree with McBride's study of Capra's character or not, you have to acknowledge he was a superlative film director and—in this case—he was working with a superlative comedian and a superlative cameraman Elgin Lessley, Keaton's cinematographer, who was the main cameraman on The Strong Man. Eddie Muller is the consummate showman. 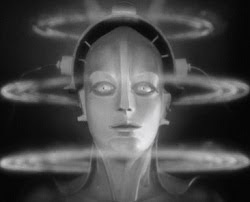 Aware that his San Francisco Silent Film Festival (SFSFF) audience was restlessly grumbling because Metropolis (1927) was 40 minutes late getting started, he quipped, "When you've waited 83 years, what's another 40 minutes?" 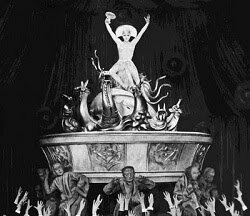 "I don't need to tell you," Muller continued, "but what you are going to see tonight is almost unquestionably the most imaginative, innovative and ambitious silent film ever made and—at the time—the most ambitious, innovative, imaginative movie period that had been made up to that time." 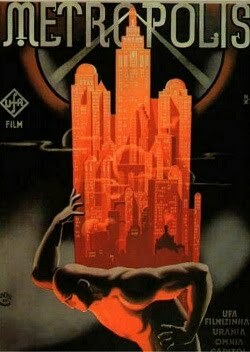 Muller recalled that when he was a callow 15-year-old, he saw Metropolis for the very first time in a high school film literacy course. It was the film that opened his cinematic horizons and helped him appreciate silent film and film history; an experience he's confident he shares with a great many people because of the myth, the legend and the greatness of Metropolis. Admittedly, however, upon his first viewing of the film—despite being blown away by its visual spectacle—he didn't fully comprehend it, which he attributed to his callow youth without fully realizing that it wasn't just him. There were incomprehensible attributes to the film: characters appeared and disappeared without narrative reason, for example. 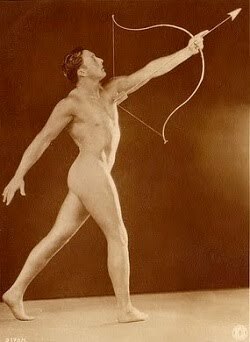 It was only later on with subsequent viewings and study that he learned the reasons why. 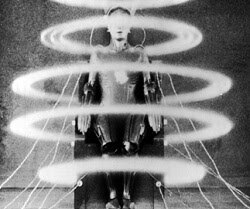 Metropolis was a film that had been severely edited after its initial release in 1927 and this long saga has been detailed in his essay for the SFSFF program (as well as in Bret Wood's TCM essay). 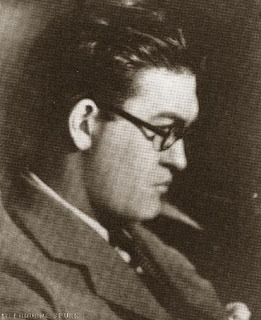 Fritz Lang was hurt by this experience and frequently said he never wanted to watch Metropolis again; but, over the years, as every new version of the film appeared—and there have been a few within Muller's lifetime—they were touted as being the most complete version that would ever be seen. Every time he heard these boasts, Muller countered, it had the opposite effect than hoped. 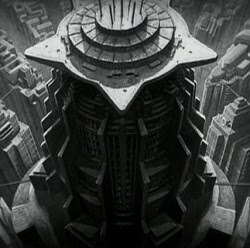 It made him feel that the original version of Metropolis—like von Stroheim's Greed—would never actually be found. "Folks," Muller grinned, "we found it!" Muller then invited to the Castro stage the two individuals responsible for finding the complete Metropolis in a modest film vault in Buenos Aires: Argentine archivists Paula Félix-Didier and Fernando Martín Peña. First off, Muller wanted to clarify that—when this happened in 2008 and it was reported in the international media—the way it was reported was that the discovery was pretty much "a delightful accident, a fantastic fluke, a feel-good story for the global media." But, apparently, those reports in the media weren't entirely true. "The actual story is something very different, right?" he posed to Peña. Yes, Peña confirmed, the discovery was no accident. He had been aware of the existence of the film for some time and had first been denied access to the print 20 years ago. In 1988, Peña was the teenage protégé of Argentine film critic Salvador Sammaritano who founded Argentina's most influential film society. Sammaritano had hired Peña to help him catalog the film collection of the late Manuel Peña-Rodriguez who, in turn, had been Sammaritano's mentor. 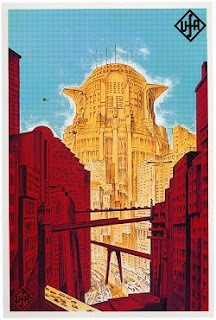 On that list was Peña-Rodriguez's personal print of Metropolis, which recalled Sammaritano to a screening held in 1959 for a few members of his film society. Sammaritano told Peña that—at that screening—the shrinkage of the original nitrate print caused a gap between the film and the gate, leaving the image to flicker slightly out of focus. To fix the problem, Sammaritano went up to the projection booth and added pressure to the gate with his finger to steady the picture. Sammaritano told Peña that he held his finger in position for two hours and a half. 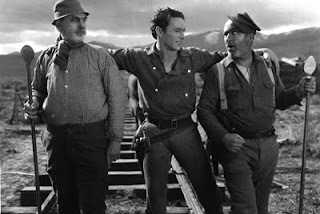 Peña, of course, had studied film and seen the modern version of Metropolis, which didn't last nearly one hour and a half, so he doubted Sammaritano, "Are you sure? Two hours and a half?" Sammaritano responded that he would never forget those two hours and half; his finger was so numb. 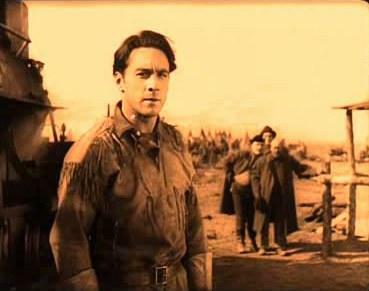 Peña began studying the story of the film in Argentina [read his fascinating Undercurrent account here] and discovered that the version of Metropolis that played in Buenos Aires came directly from Ufa, not Paramount, and that it was bought by an independent Argentine distributor Alolfo Z. Wilson in February 1927—six months before the recut American version replaced all international prints. Peña-Rodriguez—who had begun collecting film in the '30s—bought Wilson's distributor print. When he eventually sold his films to the Argentinean state, they destroyed the dangerous nitrate original and made the 16mm copy. Confirming this research against the 16mm print in the archives was hindered, however, by bureaucratic indifference. When the Peña-Rodriguez print was donated and transferred to the Fondo Nacional de las Artes in 1971, Peña petitioned for access to the print but Sammaritano's anecdote was reduced to interesting hearsay and his request was denied. Peña's repeated requests were denied for the next 20 years as he kept track of the film's transfer among national, state and municipal agencies. In April 2008, Peña's ex-wife Paula Félix-Didier was hired as the director of the Museo del Cine in Buenos Aires, the current home of the Peña-Rodriguez collection. Félix-Didier was fully aware of Peña's ongoing struggle to achieve access to the film and so—when they sat down to share a cup of coffee at a Buenos Aires film festival shortly after her appointment—she suggested they work together. Naturally, high on Peña's list was the long-awaited opportunity to go into the vaults to check on the Metropolis print. ("Funny how it works out," Muller quipped.) In May 2008 Peña and Félix-Didier located the print—it took all of 10 minutes; the can was clearly labeled—so the media reports that this was an "accidental" find were totally misleading. The truth was that no one in power had cared enough to confirm the facts. As Félix-Didier relayed to Muller in an earlier interview for the Noir City Sentinel, "Those 10 minutes were the culmination of a whole lifetime spent studying film history." The 16mm print, which had been struck from the 35mm print, was in poor condition and it was difficult for them to determine much holding the film up to the light; but, it didn't take long to confirm that they had indeed found the complete film. Muller asked how long it took after they had confirmed their discovery before the international film community believed that they had indeed discovered a full-length print of Metropolis? Peña said it took three to four months. Muller asked them to detail the process. Félix-Didier explained that she contacted the copyright holders for Metropolis in Germany; Peña contacted Martin Koerber at the Murnau Foundation, who had administered the 2001 restoration. They received no response. They began to realize that, undoubtedly, these agencies had fielded numerous claims of discovered Metropolis footage, and receiving one more email from unknown archivists in Argentina didn't warrant immediate attention. "There's something about Germans and Argentina...." Muller offered by way of explanation. Peña said it took Europeans to convince the other Europeans. It wasn't well understood that in the '30s and '40s Argentina was one of the first places to screen films from all over the world. They had many foreign expatriates who were collecting films from their home countries. This was somehow hard for Europeans to believe and they took an exclusive Eurocentric view that Argentines weren't aware of the many versions of Metropolis that existed. 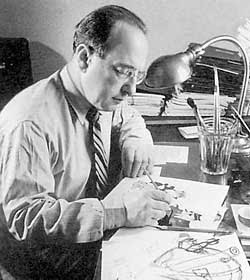 Peña was swift to assert that he was well aware of the many existing versions of Metropolis but that he was equally confident that he had located an original print. Muller asked the on-stage duo to explain some of the economic, political, and ethical issues involved in making such a monumental discovery, especially as the print was located during their employment with a public archive. Félix-Didier admitted that negotiating with the Murnau Foundation was difficult on both sides. 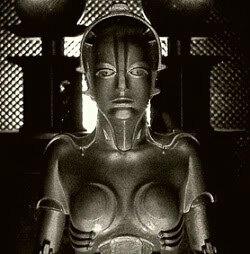 She didn't want their discovery to become a repatriation issue—as was recently done with American films in the New Zealand archives—primarily because what Peña uncovered in the vault is a uniquely Argentinean version of Metropolis. Not only did it have Spanish subtitles and intertitles, but those titles had been translated by Leopoldo Torres Ríos who went on to become a well-known filmmaker. 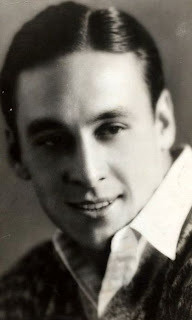 He took liberties with his translations and created a free-version "tango" unique to Argentine culture. He also made minor changes to the film. Though these designs might not hold much interest to international scholars of the film with regard to the authenticity of the film, they hold specific interest to Argentine scholars. 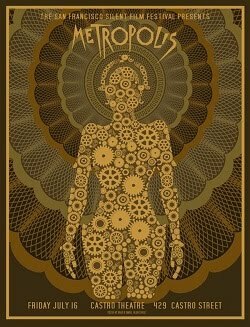 This remains the version of Metropolis that Argentine audiences watched in 1928 and Félix-Didier wanted to keep that cultural product intact. She sent the 16mm print to the Murnau Foundation in Germany. They scanned it, made a new print, and a DVD. The Germans only believed her when she physically went to Berlin to the Deutsche Kinemathek and showed them the DVD. Though this was all difficult to achieve, the upside is that the Germans are now helping her preserve a lot of the nitrate films in the Museo del Cine's vaults, currently in progress. There were other complications. 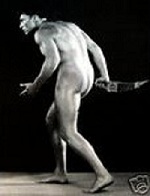 Félix-Didier received several phone calls from collectors interested in buying their print. The importance of having such a film stored in a public archive is that Félix-Didier hardly needed to waste her breath in reminding interested collectors that the print was not hers to sell. Notwithstanding, one French "pirate" who owned a DVD distribution company, persisted in trying to secure same. At first he didn't even bother to contact her by phone, he sent an email without addressing her by name, and stated he was prepared to offer her a quarter of a million Euros to buy the print. He pleaded with her "not to give the film back to the Nazis"—("So much for forgive and forget," Muller joked)—and argued that he was aware that the Museo del Cine was poor and could use a quarter of a million Euros. Félix-Didier couldn't deny that—she could do a lot of things with so much money—but the point remained that the print was the property of a public archive and not hers to sell. Notwithstanding, he persisted and phoned her every day for two months and a half. Every day she refused his offer. He even phoned her 10 minutes before the premiere at the Berlinale, saying, "I know you are here. I am here too. Let's get together and have a cup of coffee. I want to talk to you because I know that the Murnau Foundation doesn't have the rights to Japan, China and India..." She hung up on him. As amazing an experience as this has assuredly been for both of them—particularly for Peña after trying to secure access to the print for 20 years—Muller wanted to know what they were taking away from the experience, what the experience has meant for them, and what this discovery has meant to Argentina? Peña wasn't sure if he could speak for Argentina; but, he hoped that the people in power in government would understand the importance of film preservation and provide funding so that archivists and preservationists can do their necessary work. Since there is no national cinematheque in Argentina, these public archives are dependent upon outside financial assistance and it would be great if some of that came from the government. As for himself, Peña joked: "I know it's going to be all downhill from now on." Félix-Didier added that they were lucky to have found a complete print of a film that is so well-known because it has drawn a lot of attention—not only to the Museo del Cine, who really needs the attention—but also to film preservation in general everywhere. There's no denying that's a good thing. "I always say that this is our job," Félix-Didier concluded, "This is what we do. We take care of films. We take care of all kinds of films. Sometimes they are famous films and sometimes they are films that are not so famous but equally important." Peña appended that when a person in a country like Argentina decides to dedicate themselves to film history, they need generosity and encouragement. In his case, he found generosity and encouragement in one man, whose work he has seen and read "since I could read and see." Those grateful for the Buenos Aires "find" of the complete print of Metropolis owe it, Peña suggested, to the work of Kevin Brownlow. Muller wrapped up by admitting that—though he knew the SFSFF screening of Metropolis was going to be a special event—he didn't know how special it was going to be until he learned that Fernando Peña had not yet seen the restored print and that he would be seeing it for the first time with the SFSFF audience. Muller was being modest. I feel it important to point out that Fernando Peña's opportunity to finally see the restored version of the film he has championed his entire adult life is directly attributable to Eddie Muller and the Film Noir Foundation, who paid for his airfare to attend SFSFF. Most festivals can only afford to fly one person in for such an event and Paula Félix-Didier, as the director of the Museo del Cine, is the obvious choice; but, realizing that Fernando Peña and his cinephilic passion was being swept aside in the rush of events, Muller wanted to fully credit him for his remarkable achievement. Kudos, Eddie! 07/26/10 UPDATE: At Parallax View, Sean Axmaker has compiled a useful aggregate of all coverage of the Metropolis restoration to date, including his conversation with Fernando Peña at SFSFF regarding the digital projection. As Carl Martin indicated earlier on his Film on Film Foundation blog, though a 35mm print of this recent restoration exists and was shown at the Hong Kong Film Archive in April, 2010, the digital print is seemingly screening everywhere else. Sean asked Peña how his experience of the SFSFF screening matched up to his hopes and expectations. "His response surprised me," Sean reported, "though it shouldn't have: he was disappointed that it was shown in projected digital edition, which he said flattens the image. Personally, I've always disliked the cold, harsh light of digital projection of black and white films, so unnatural compared to the warm light of film projection bulbs (or even better, the burn of old-fashioned carbon arcs, all but gone from projection houses). But Fernando brought another, even more distinctive difference to my attention when he reminded me that the screen image created by light passing through film gives you distinctive texture from light and shadow and gradations between them. It creates sense of space on the screen that video projection of black and white film does not and that texture was missing from the SFSFF screening." I feel sorry for Madge Bellamy in John Ford's The Iron Horse (1924). Despite all her feminine wiles, her perky coquettishness and her distracting petulance, she has to work to keep my eyes on her. 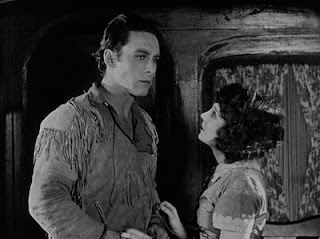 They keep roaming over to appreciate her leading man George O'Brien in his first feature role as Davy Brandon. 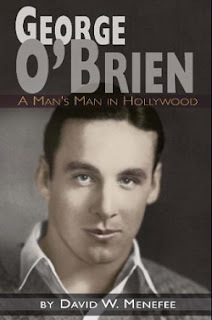 Brief bios on O'Brien abound including IMDb and Wikipedia; and; most recently, BearManor Media has published David W. Menafee's George O'Brien: A Man's Man In Hollywood (2010. I'll let those resources speak for themselves and offer up a gallery.